Welcome back to our quarterly blog series, Check Up with Blum! 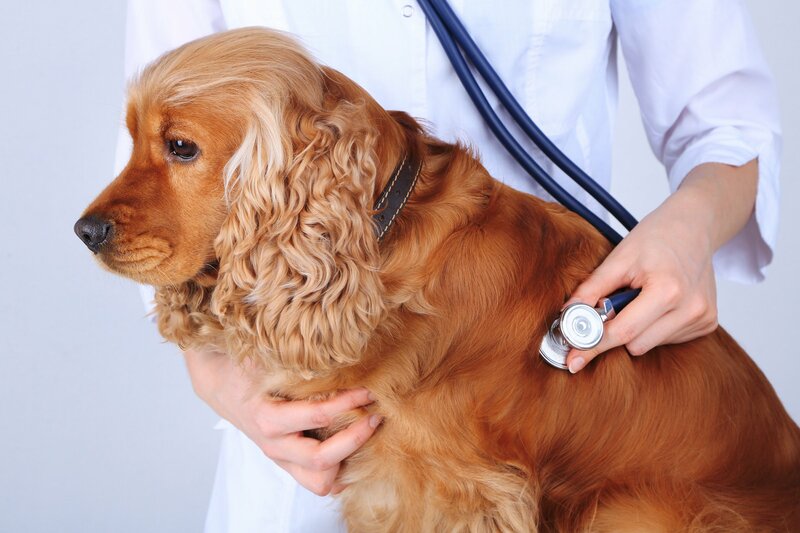 With each entry, we are discussing a topic about canine health that affects your Chicago pet! Join us this month as we cover a new topic with Dr. Natalie Marks, and learn about how you can help keep your best friend healthy and happy in the big city! This time on Check Up with Blum, we are talking about pet obesity, which is a serious issue for pets all over the country and in Chicago. Everyone wants to spoil their pups, but we also want to make sure they are as healthy as possible! Let’s learn how to make sure your best friend’s weight stays in the healthy range! First, let’s discuss what defines obesity. Is there a difference between your pet being overweight vs. being obese? Dr. Marks states that veterinarians assess your dog or cat’s weight by using a BCS (body condition score) scale. There are two scales, (1-5) or (1-9), both with very similar scoring systems based on how a patient’s weight sits on your dog or cat’s frame. For example, on a BCS scale of 1-5, ideal body weight is a score of 2.5-3. On the BCS scale of 1-9, a score of 4-5 is considered ideal body weight. These equate to 15-24% body fat. However, using these same scales, a score of 3.5-4 or 6-7 indicates 25-34% body fat and an overweight patient. A score of 4.5-5 and 8-9, respectively, indicates 35-45% body fat and represents an obese patient. How prevalent is obesity among pets across the country? According to the Association for Pet Obesity Prevention, an estimated 59% of cats and 54% of dogs in the United States are overweight or obese. This equates to approximately 50.5 million cats and 41.9 million dogs. Dr. Marks says that this is one of the most common diseases she and her colleagues fight in veterinary medicine. Just as obesity is a disease among humans, it is among pets as well. The effects of obesity can have a significant impact on many bodily functions. Do animals who live in the city have a tendency to be more overweight, or is it universal? According to Dr. Marks, clients in the city may often feel frustrated with the confines of high rise living or lack of yard space, but this is definitely a nationwide problem. The statistics that she shared above are startling and include patients in all areas of the country: urban, suburban, and rural. Now that we know more about the prevalence of this issue, what are the dangers associated with your pet being obese? Dr. Marks says that there are many consequences of excessive fat in dogs and cats, and these are due to the adverse effects of too much adipose (fat tissue) in the body. These consequences include an increased risk of orthopedic disease, cancer, hormone disorders such as diabetes, respiratory disease, kidney dysfunction, chronic inflammation, high blood pressure, and decreased life expectancy. If your pet is overweight, what are the best options for helping them lose weight? Before setting out on a weight loss plan for your pet, Dr. Marks wants to point out one important item to keep in mind: dogs can lose 1-3% of their body weight per month, and cats can lose 0.5-2% of their body weight per month for safe and controlled weight loss. This equals to about 3-5 pounds per month in large breed dogs and 1/2 pound per month in cats. Most canine patients will have a weight loss plan that encompasses a 3-6 month timeline to reach the goal, and cats may have a 9-12 month timeline. This is a marathon, not a sprint, and again, it’s very important to note that the goal is to keep your pet healthy throughout the weight loss process. How do you best determine what your dog or cat’s ideal weight should be? Determining your pet’s ideal weight involves assessment using the Body Condition Score (BCS) scale, according to Dr. Marks. There are three common body visual assessments used to help determine the score of the patient on this scale, and this can be done at home or with the help of your veterinary team. First, place your hands on your dog or cat’s ribs. Ideally, you should be able to easily feel and count all ribs when you lightly touch the sides of the chest. Second, stand over your dog and cat and look for an “hourglass” shape from head to tail or an indented waist line past the ribs. Finally, look at your dog or cat from the side of the body. Their abdomen should tuck and slope upwards from the chest. If any of the above scenarios are not met, the BCS score will increase and indicate that your dog or cat is overweight. Is there anything that can cause obesity in your pet other than overeating and lack of exercise? Dr. Marks says that there are a few diseases that can make it challenging for pet owners to control their pet’s weight. Some examples include hypothyroidism (a decrease in production of thyroid hormone in the body which controls metabolism and weight), Cushing’s disease (a hormonal disease in which too much cortisol is produced in the body) and hyperlipidemia (a disease in which the body cannot process fats or lipids well, causing it to accumulate consistently in the bloodstream). In addition to those examples, some medications, such as steroids and anti-seizure medications, can make it harder to control your pet’s weight. What are the best ways to deal with diseases that may cause your pet to be overweight? The best way to work through the balancing act of managing a disease that encourages weight gain and the struggle to maintain normal body weight in your pet is to work closely with your veterinarian, Dr. Marks says. A temporary diet change may be necessary, and/or even a discussion or consultation with a veterinary nutritionist who can formulate specific dietary plans to manage chronic disease and weight loss/maintenance. Once your pet is at their ideal weight, how do you best maintain it? The best way to maintain ideal weight is through good quality nutrition calculated appropriately for maintenance of weight and consistent daily exercise. 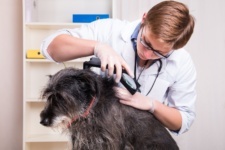 Dr. Marks encourages you to ask your veterinarian to help properly calculate out the amount of maintenance calories your pet needs to help maintain weight based on your dog or cat’s lifestyle and to be as specific as possible with measurements. The general recommendation for exercise daily is 30 minutes for dogs and three 5-minute intense play periods in cats. 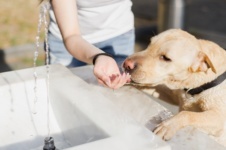 For dogs, this could include walking, playing ball, chase, agility classes, or playing frequently in the park. 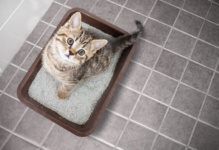 With cats, sometimes we need to be a little more creative for exercise, but you can utilize the help of feather dusters, laser pointers, or placing food in very small bowls around the house, using vertical surfaces to help stimulate the inner predator-prey drive. If you are concerned about your pet’s weight, reach out to your veterinarian and get a plan in place to get your furbaby on the right track! 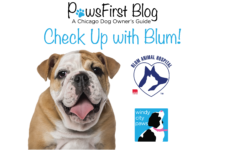 Thank you to Dr. Natalie Marks at Blum Animal Hospital for her regular contributions to Check Up with Blum! We are grateful for the hard work of the Blum team in making sure that every Chicago pet has the best life possible!